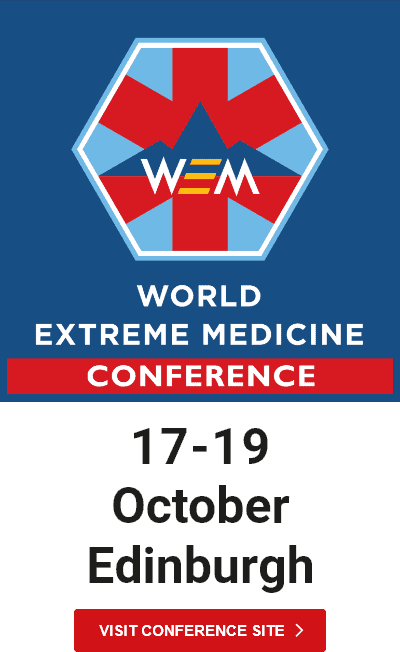 World Extreme Medicine Limited* (“us”, “we”, or “our”) operates the www.worldextrememedicine.com website (the “Service”). All your Personal Data shall be held and used in accordance with the EU General Data Protection Regulation 2016/679 (“GDPR”) and national laws implementing GDPR and any legislation that replaces it in whole or in part and any other legislation relating to the protection of personal data. If you want to know what Personal Data we collect and hold about you, or to exercise any of your rights as set out below, please email us at admin@extreme-medicine.com. World Extreme Medicine Limited (“WEM”) of Thomas Whitty House, Silver Street, Axminster EX13 5AH is the controller of your Personal Data for the purposes of the GDPR and is a company registered under number 04612648 and whose VAT number is 851 7696 88. Our Data Protection Registration Number is Z125780X. * World Extreme Medicine Limited is formerly known as Expedition & Wilderness Medicine Limited. When booking one of our expeditions you will also be asked to provide further Personal Data in relation to your medical history, including any pre-existing medical conditions. This information is requested and required due to the nature of the expeditions on offer via our Service, which can be physically demanding. WEM’s Terms and Conditions apply when using our Service, specifically when booking a course and can be found here. WEM may also ask you to complete surveys that we use for research purposes, although you do not have to respond to them. Details of transactions you carry out through our site and of the fulfilment of your orders. Specifically: when you make a booking for one of our expeditions via the website booking engine you will be asked to provide your name, postal address, email address, telephone number and credit card number and expiry date. This information relating to financial transactions will be collected and held by WEM and Leadership Limited whose registered office is at Thomas Whitty House, Silver Street, Axminster EX13 5AH. WEM will also retain Usage Data for internal analysis purposes. Usage Data is generally retained for a shorter period of time, except when this data is used to strengthen the security or to improve the functionality of our Service, or we are legally obligated to retain this data for longer time periods. Under certain circumstances, WEM may be required to disclose your Personal Data if required to do so by law or in response to valid requests by public authorities (e.g. a court or a government agency). WEM has security measures in place to protect Personal Data registered on our systems. These measures include restricted access to databases containing Personal Data. WEM aims to take reasonable steps to allow you to correct, amend, delete, or limit the use of your Personal Data. You have the right to data portability for the information you provide to WEM. You can request to obtain a copy of your Personal Data in a commonly used electronic format so that you can manage and move it. We may use third-party Service Providers to monitor and analysethe use of our Service. In order to provide certain services, we will share your Personal Data with third party service providers such as medical professionals, IT infrastructure companies and email logistics/marketing automation providers. We will not share your Personal Data with any third party where it is not necessary to do so to provide a service to you. We may also use your data, or permit carefully selected third parties to use your data, to provide you with information about goods or services, which may be of interest to you.